Adobe Reader 7.0 or later installed and setup to use Adobe PDF Browser plug-in. FAQs - Click the question to reveal the answer. How Many Continuing Education Hours/Credits Do I Need? Most states now follow the NAIC guidelines, requiring 24 credit hours with 3 of the 24 required in approved Ethics. Since not all states have adopted the NAIC guidelines, it is necessary to check with your Department of Insurance or look under "State Requirements" for your state on our website. Agents requiring specialty courses (LTC, Annuities, Homeowners, and others) can complete these on our website. Specialty courses are part of the overall CE requirement, not in addition to them. 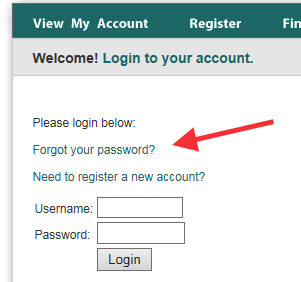 What do I do if I’ve forgotten my Username & Password? 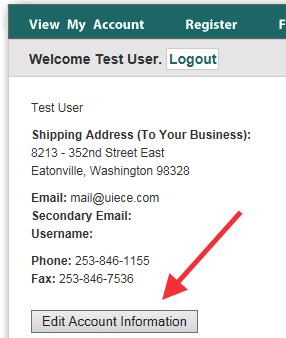 You may call (1-800-735-1155) or email (mail@uiece.com) us and we can give you that information. There are also "Forgot Password" links wherever you log in to help you. The Information on my account is outdated. How can I update it? On our website, go to “View my Account” on the top toolbar. Below your name and address, you will see "Edit Account Information." Click on that icon to update any information, except your name, which we must change for you. Once you have made the necessary changes, scroll down to click “submit” located at the bottom of your screen. I found the course I want to take, but I don’t see where to order? In most states you do not pay until after you pass the online test. Ohio, Virginia, Alaska & Canadian Provinces require pre-payment. Once you have selected the course you want, click on the picture of the book (located to the right of the course title) to access the study material; click the pencil-on-paper icon to access your test. We accept all four major credit cards (Visa, MasterCard, American Express & Discover). You may also fax or mail us a check. Money orders and cashier’s checks must be mailed; they cannot be faxed. How much are your courses online? Our internet online courses are $25.75 or less; hard copies are also available for mailing, but they cost more. Go to your state by selecting it on the map or dropdown list. The prices will be listed to the right of the course titles. Prices do not include state roster or state filing fees, where applicable. What is the difference between Classroom Equivalent and Self Study? 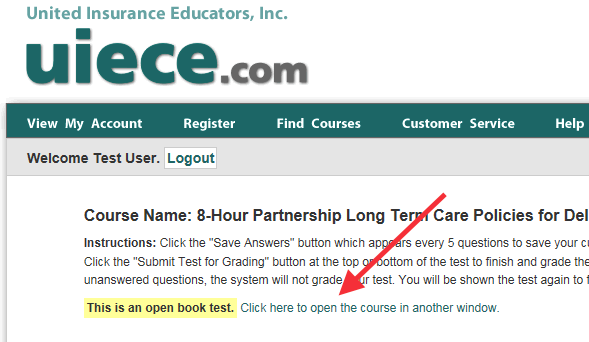 Classroom-Equivalent courses require agents to click through the course page-by-page, with review questions throughout it. Some states require these pages to be timed; agents will not be able to move on until the timer runs out. Self-Study courses allow agents to move through the reading material at their own pace; the test is separate from the reading material. Can I have the book & test open at the same time? If your state allows open book tests (check your state requirements page), then yes, agents can have them both open at the same time. When you have the test open, in yellow it will say “This is an open book test. Click here to open the course in another window.” Clicking where indicated opens the book allowing you to minimize and maximize the screens, switching between the book and test. When I click on the book nothing happens; it just flips me to the top of the page? This occurs when you already have the book open somewhere on your computer. Try minimizing the website (sometimes all the way down to your desk top); the book is probably open behind it. I cannot find where to take the test? Some states require the book to be opened by the agent before we are allowed to make the test available. In those states, you must be logged in with their username & password; click on the picture of the book. On the left hand side of your screen, above the listed chapters, it will say "Start the Test." Click where indicated to begin the test. For pre-paid tests, login to your account and there will be a section of "Available Pre-Paid Tests" after you purchase your course. You can start you test from this location. For states where you have to open the course before you take the test. 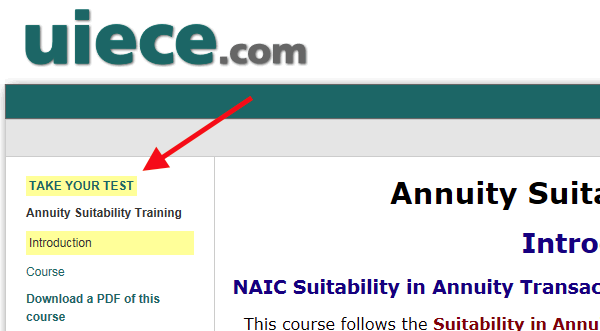 Log into your account and then click on the book icon to open the course. Do I have to have a monitor when I’m taking the test? Some states do require that you be monitored while taking the test (monitors do not have to be present while reading the book). Refer to your state’s CE requirements on the course-list page to see if a monitor is required in your state. When required, monitor information will come up when you click on the icon to take the test. It will either have you fill out all the information and submit it right on the website, or it will prompt you to print out a form to fax to us (1-253-846-7536). 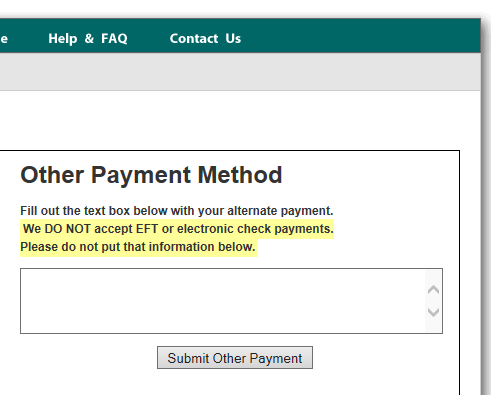 If you fill out the monitor form on the website, you DO NOT need to also fax it to us. Am I able to start and stop the course/test? For Self-Study courses, agents must remember where they left off in the book. While testing, there is a "Save Answers" button after every 5th question throughout the test. You must click where indicated every time it appears to save your answers. Then you can log out and later pick up where you left off. Clicking the “save” button every time it appears prevents losing your test when power goes out or the internet connection terminates. 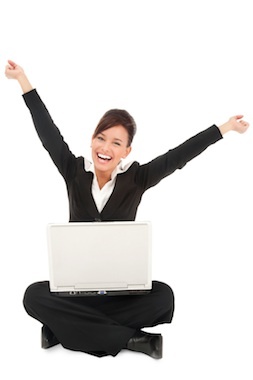 If you are taking Classroom Equivalent or InterActive Online courses, the website will automatically save your work. You may log out at any point during the course/test and return to where you left off. How do I continue a saved test/course? Log in with your username and password and, if not already there, go to "View My Account." Then scroll down to "Test & Certificate History." You will see the course you began with a “Continue” icon to the far right. When you click “Continue” it will either take you to the saved test or to the monitor form. In states that require monitors, monitor forms must be filled out every time you enter a test, even if previously completed. Once the monitor form is completed, it will take you to your saved test. I've passed my test. How do I pay for my course now? Click on “View My Account.” Then scroll down to your "Test & Certificate History." To the right of the course title you completed there will be an icon that says "Buy." When you click on “Buy” it will add the completed course to your shopping cart. You may then proceed to checkout, which is located in the upper right hand corner of the screen. Where do I put the coupon code that I received? In “Step 1” of the checkout process, below the items listed in your cart, you will see a box on the right hand side for entering coupon codes. After inputting the code, you must click on the “Submit Coupon” icon in order for the discount to be applied. Your cart should then automatically refresh with the applied discount. If the coupon code does not appear to be working, please call us at 1-800-735-1155 before proceeding. If you complete the checkout process without contacting us, the discount will not be applied and unfortunately no refund will be available. My company is paying for my CE and gave me a code/voucher to use. Where do I enter it at? After you pass your test, begin the checkout process. You will input the code/voucher in "Step 3" to the right of where the credit card information boxes are located. To the right you will see a box labeled "Other Payment Option." Enter the code/voucher in that box. It might be your company’s name or whatever other information you were given. Then submit the order to receive your order number. On your “View my Account” page it will show "Waiting for Payment" until we receive approval confirmation from your company. Expect to wait at least 24 hours since we must receive your company’s reply to our request. Once you have paid for your education and received confirmation that it went through, click on "View My Account." Scroll down to your "Test & Certificate History." Look for the completed course title; to the far right it will say "Print Certificate." Click on that icon. How often do you notify to the Department of Insurance of course completions? We notify the states that require it and their vendors daily Monday through Friday, excluding holidays. Do you offer group discounts or corporate accounts? YES! Please call our customer service at 1-800-735-1155 for more information. We will be happy to work with you and provide whatever services you need. Do you have a number I can call if I'm having technical trouble with you website? Yes. Call 1-253-846-8915 for help Monday through Friday between 8 a.m. and 3 p.m. Pacific time. Unfortunately we cannot reprogram your computer due to liability issues, so if the trouble relates to your personal computer, including computer settings, or to internet issues we cannot help you. In many cases, simply going to a different computer solves any issues you are having. Restarting your computer may also correct the problem.